Calling all Mario Kart fans! 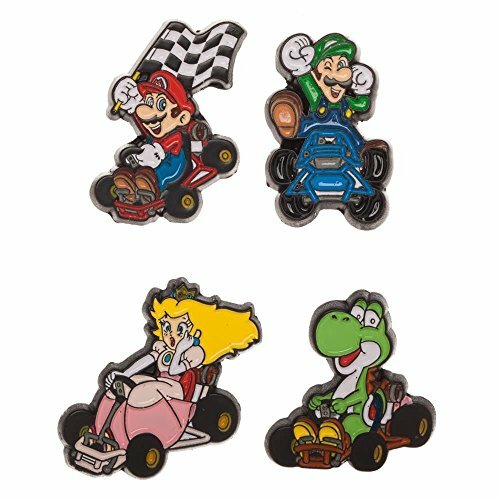 Collect, pin, or rep your favorite characters from the Mushroom Kingdom with the officially licensed Mario Kart Collector Pins set. Product received will include (1) randomly selected pin. Each Quantity Equals One Blind Box. The Nintendo Entertainment System (NES) was released in 1985 in the USA and was a huge hit. It became known as the single greatest video game console in history. 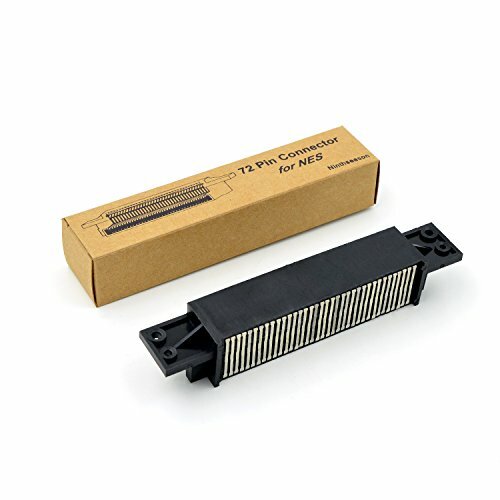 It ran 10 years in the American gaming market. 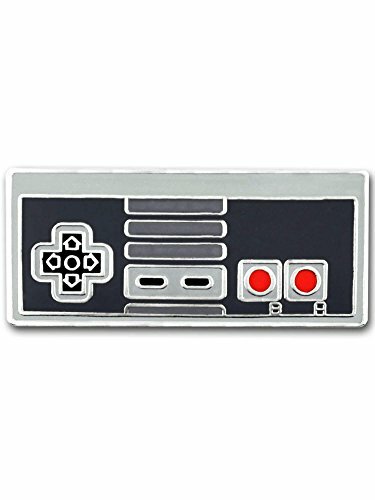 Our Nintendo Controller Lapel Pin is a replica and throwback of the original NES Controller. Doesn't it brings back memories of playing till all hours of the night? 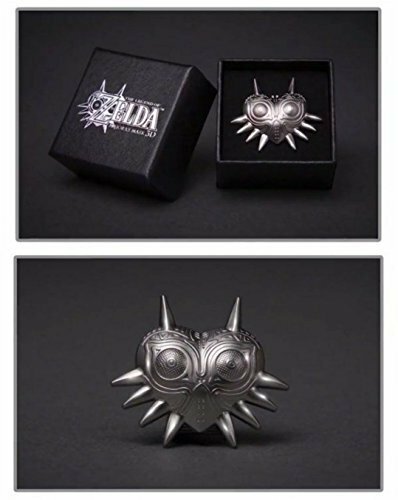 If you are a gamer, a collector of gaming pins, or simply loved playing Nintendo, this is the pin for you! It is made of jeweler's quality cloisonné, enamel color filled, nickel plated and hand polished to a smooth and shiny finish. This pin includes a standard clutch back that keeps this pin securely in place on your garment, back pack, hat, lanyard and ID badge. Each comes to you individually poly bagged. Super Mario fans, rejoice! 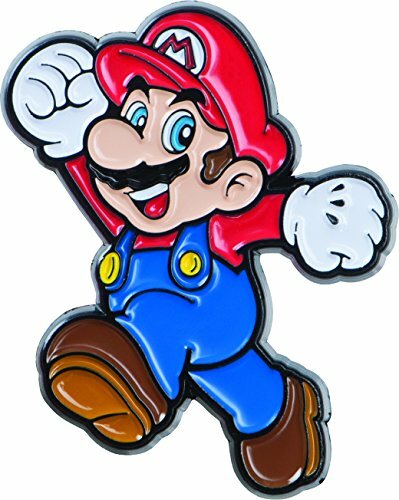 Wear, pin, and display your favorite characters from the Mushroom Kingdom with the officially licensed Super Mario Collector Pins set. Product received will include (1) randomly selected pin. Each quantity equals one Blind Box. Brand NEW - From Collectors Edition. 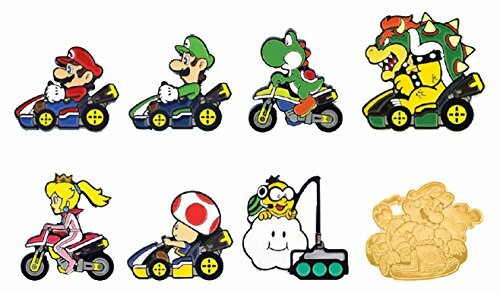 This Officially Licensed Super Mario 3-pin collection of villains is the perfect way to show your love for the Bad guys. 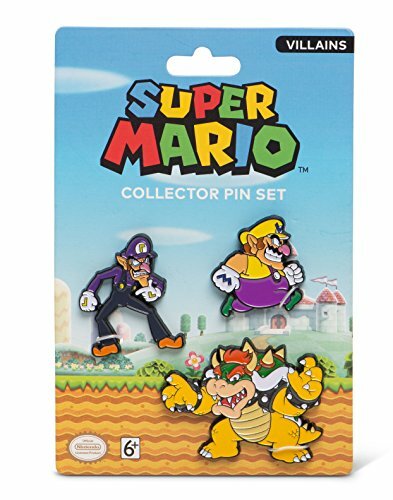 Includes 1.5” die cast metal pins of Warrior, Waluigi & bowser with Enamel colors and metal butterfly clutch fastener. Whether you've always admired Mario's archrivals, or just want to up your game prior to attending a con, these are sure to show off your true fandom!.